McALLEN — A Mission man pleaded guilty Monday to violating federal gun laws, court records show. Refugio Espinoza-Galvan Jr. stood before U.S. District Judge Randy Crane on Monday for a re-arraignment hearing related to one count of firearms penalties. 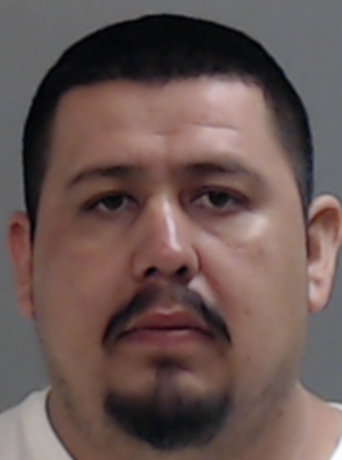 Federal agents discovered that Galvan, who according to an October indictment was convicted 10 years ago for burglary of habitation in Hidalgo County, owned a handgun — a violation of federal law. The 32-year-old man, who also goes by the alias “Cuco,” pleaded guilty to the second-degree felony burglary charge and received a 160-day state jail sentence, court records show. “…A felon, having been convicted of a crime punishable by imprisonment for a term exceeding one year, namely, in the 332nd District Court of Hidalgo County.. did knowingly and unlawfully possess in and affecting interstate and foreign commerce a firearm, namely a Taurus, Model Millennium, .45 caliber pistol,” the indictment states. Espinoza-Galvan pleaded guilty earlier this week to the sole charge; in exchange, “the government will recommend that the offense level decrease by 2 levels,” the record shows. The weapon he was found with, a .45 caliber pistol, is subject to forfeiture. He was most recently arrested in 2012 in connection with possession of marijuana, and three other state misdemeanor charges, county records show. Espinoza-Galvan, who was denied bond Nov. 6 during a detention hearing, will remain in federal custody pending his sentencing hearing, scheduled for Feb. 4, 2019, court records show.